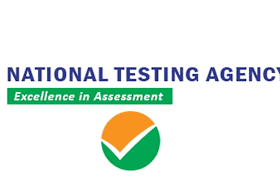 JEE Main 2019: After conducting the Joint Entrance Examination (JEE) Main January session, the National Testing Agency (NTA) is all set to organise the JEE Main II from April 7 onwards. The revised dates for which have been recently announced. Moreover, the JEE Advanced will be held on May 27 instead of May 19 due to the Lok Sabha Elections. 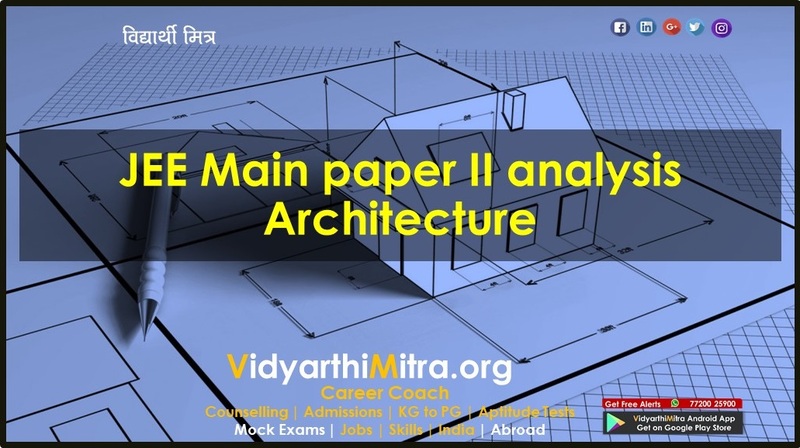 According to the recent notification, the paper-I, entrance exam for engineering courses will be held on April 8, 9 10 and 12 and Paper-II for entrance to architecture courses is scheduled to be conducted on April 7. Mathematics: Keeping in previous year trends, co-ordinate Geometry, algebra, and calculus are the topics which need to be given more attention. Topics like mathematical reasoning, statistics and determinants can be helpful in increasing the score. Refer to previous year question papers for a better understanding of what to expect. Physics: Kinematics and particle dynamics are two topics which are asked most of the times in the exam. As per the trends, mechanics, electricity and magnetism are the topics from which questions are always asked. Thermodynamics is the most important chapter both in physics and chemistry. Wave optics is smaller as compared to ray optics to cover but holds significance. Vectors need to be studied properly, as it troubles most of the students. Modern physics is theoretical, yet some scoring questions are frequently asked from the section. Chemistry: Conceptual clarity, application skills, and awareness should be of focus in Chemistry. Special attention should be given to topics such as mole concept, chemical equilibrium, and electrochemistry. As far as inorganic chemistry is concerned, the major topics such as chemical bonding, structures, processes, applications and coordination Chemistry should be given special attention. Students are advised to first attempt theoretical questions than the ones which require calculation. 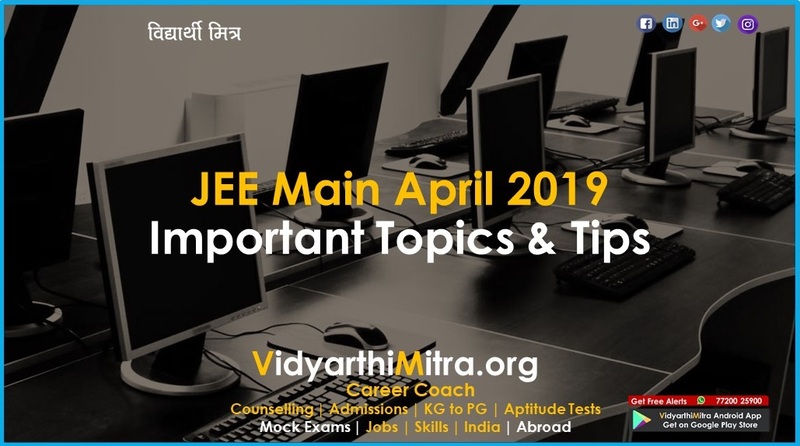 The best of the two scores from either January or April sessions of JEE Main 2019 will be considered while preparing the merit list of JEE Main 2019. 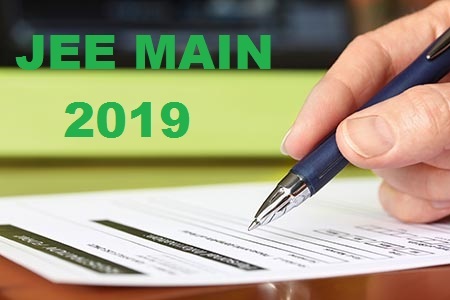 Students who further clear the cut-off in JEE Main 2019 would be able to appear for JEE Advanced on May 19. 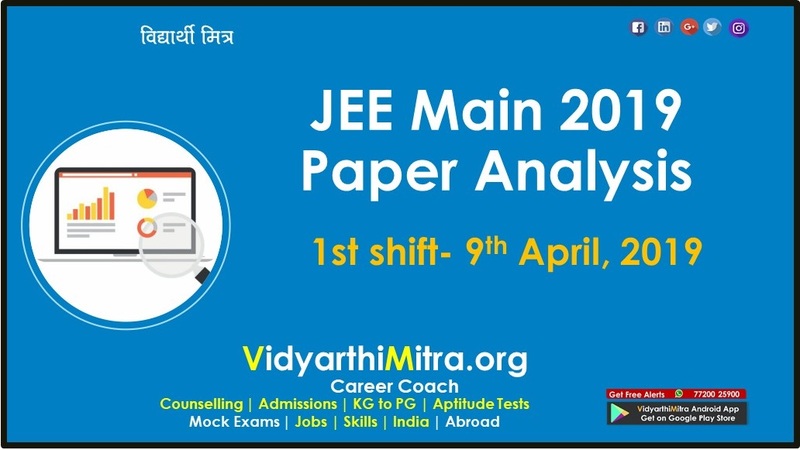 The result of JEE Main 2019 April will be announced on April 30 (Paper I) and May 15 (Paper II). 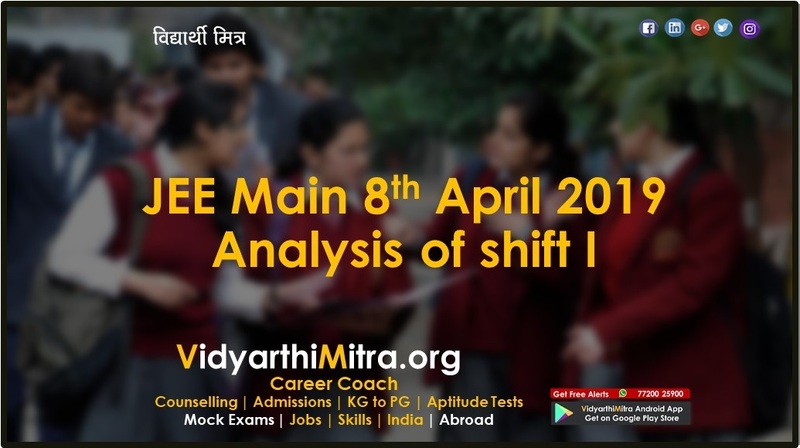 The result of JEE Main 2019 will also serve as a gateway for admission to undergraduate programmes in the NITs, IIITs & GFTIs.